Having this information can greatly help us know how to better help you. If you want you can comment with why you made the choices you did (especially if you picked other!) but remember this is NOT a debate and negative comments will not be posted. Well done Amber, sounds like you’re doing a great job and you have us if you need any help! I breastfes and pumped my oldest for a few months until switching to formula mostly due to lack of support and knowledge of how breastfeeding works. Now with my youngest I’ve been breastfeeding him for almost 15 months because I researched and sought support before giving birth. I corrected my mistakes and was 100% determined to not use formula and stuck with it even when it was painful or through nursing strikes and especially through illnesses and hospital stays. I formula fed my 2 oldest boys because I was scared and had no support to breastfeed them. I have chosen to exclusively breastfeed my 3rd child who is also my last and glad I did make that choice. My little one will be 4 months on the 19 and we are still going strong. He has some medical issues to which I have found breast is best in his case so I am so glad that things are working out for us. 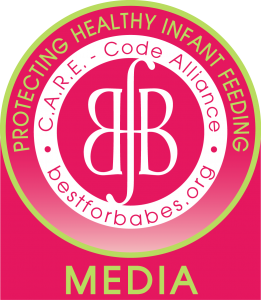 I honestly feel that if it were not for these support pages I may not have made it thus far, I absolutely love all the information and photos of other mommies that have chosen to breastfeed. So I thank you for helping me make it and continue until my little one decides to self wean. We’re expecting our first and frankly the breastfeeding scares me. (not breastfeeding itself but whether or not I’ll feed her enough scares me.) Do I put her on a schedule? Do I feed on demand? What do you recommend I do for her the early stages of being new born? We are glad we have been such a great support for you and it sounds like you’re doing an amazing job! I tried breast feeding my oldest but had absolutely no support and she had colic so I gave up before we even left the hospital. With my other two I still really didn’t know what I was doing and really didn’t have anyone to help me and I made it to 2 months. My youngest is 5 and I am currently 8 months pregnant and for the past 4 months I have spent so much time researching and finding different support sites that I know I am going to nurse our new babe atleast a year. I love your page I have learned so much and I really do appreciate all the time and effort you guys put into it. i tried bfing my oldest but had no guidance (mother is mentally ill) and i assumed it would be natural for me. i did not realize i could call a lactation spec! so after be engorged and dealing with a 3rd degree tear and UTI..it was all too much. This time I researched and asked opinions of others and have been successful so far at 9 wks pp!